After weaning calves are shifted from separate stalls to common place where upto 6 animals of the same age group can be kept and fed together. 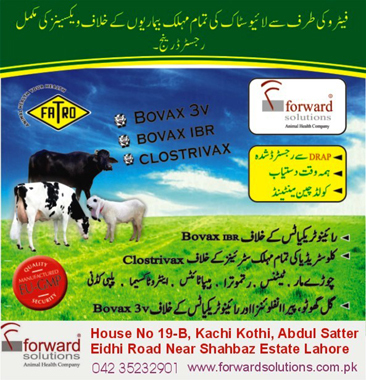 At this stage the rumen is not yet fully developed so the calves should only be given the best quality fodder along with best quality calf starter having 16-18% CP. About half to 1.5 Kg calf starter with green forage maintain desirable growth. 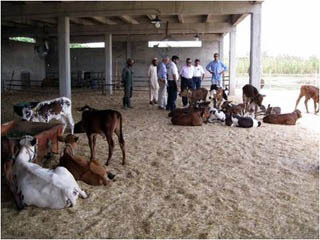 At six months of age calf are shifted into groups of 15. 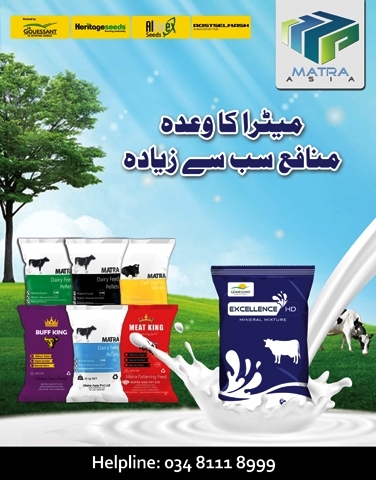 The feeding regime suggested for the two to six months age group can be continued, except that the concentrate mixture should now contain 12-13% crude protein. Housing can be the same as for the four to six month age group. Heifers should be housed in small groups of 6 to 10 to reduce stress and competition at the feeding place. 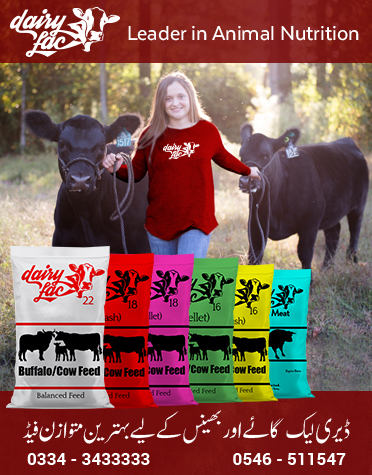 Heifers make satisfactory growth during this age on good quality roughage alone. 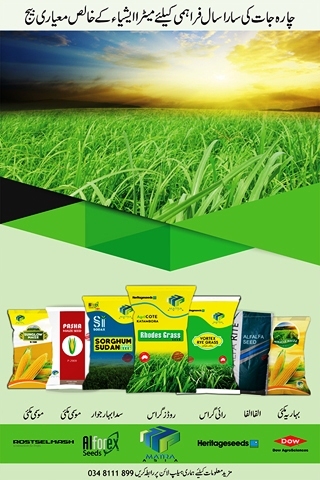 However in periods of scarcity forage must be supplemented with 2-3 Kg concentrate per day. Today’s heifer is to ultimately enter into milking herd and the age at which heifer enters into a milking herd depends upon its time of breeding which depends upon the age at which heifer reaches puberty and comes into estrous. Age at puberty is influenced by breed, season, feeding, and year of calving. In many of the western countries, well-grown heifers can be bred at 13 to 15 months of age and thus can enter the milking herd at 22 to 24 months of age. The most important factor in governing the age at first estrous is weight along with size. Heifers attain first estrous when attain weight of 250 Kg. Buffalo heifers attain puberty at 400 Kg body weight. If breeding age is to be attained by 13 to 15 months of age, nutrition and management of the growing heifer must be priorities. Well-fed and managed heifers show their first oestrus (puberty) at about 35% of their mature weight. Underfeeding of heifers delays oestrus. Underfed or slow growing heifers may ovulate, but oestrus signs are often suppressed. Heifers in good condition and gaining weight a breeding time generally shows more definite signs of oestrus and have improved conception rates over heifers in poor condition or that are losing weight. Heifers should be bred at 60% of mature weight so that they calve at 85% of mature weight. Early breeding of heifers shortens the time from birth to lactation and decreases the cost of managing a nonproducing heifer and lifetime production is greater. Adequate housing, splashing water twice give better results specially in buffalo. They will gain weight and come in estrous earlier. Breeding system in our villages does not consider the genetic worth of the animal. In the traditional system, available bull is used and next generation may be deteriorate in production. Proven bull should always used for breeding purposes to boost production potential in next generation. Selection of bull (contributes 50%) is very important in breeding than the female. The best way for breeding is artificial insemination (AI) for which a well trained AI technician must be called.